As a vacation rental manager, one of the keys to your success is the ease of availability of information, including being able to easily access and analyze your financial information. 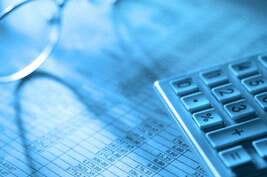 With excellent financial information comes the tools to analyze your business, and project needs and expectations. Consolidation. Barefoot’s software financial management tools are completely integrated-all-in-one tools with all the financial reporting within the system, so that everything is consolidated and managed from one centralized location rather than jumping from one program to another. From property searches to year-end accounting reports, everything is maintained within one program. This helps alleviate several common issues such as double entries and performing double tasks. Investment. Integrating a fully functional accounting tool in a property management software is very expensive, in both time and financial commitment. Barefoot has made that investment years ago, and the hard work has paid off. It is easy to send the data to another software program and expect that program to manage property, vendor, guest statements, and provide the financial resources to manage your escrow/trust accounting tools. Barefoot chose a different route, and our clients appreciate the investment to make it easier for them to operate their business. Efficiency. With Barefoot’s rental management software, the built-in integrated trust accounting system makes the process much more efficient. When a rental is booked, paid for and ultimately checked out, the system automatically updates the accounting ledger without the extra steps of inputting or syncing data to separate accounting software programs. When changes are required, they are all done within one system. Without this integration manual journal entries are commonplace. Compliance. The Barefoot system is compliant with the North Carolina Real Estate Commission. Compliance with some of the different states rules and regulators is very important, but successful accounting functionality it is more than just creating reports that governing bodies deem acceptable. The Barefoot system delivers the integrated tools to provide property managers the information required to manage their business day in and day out. How do we know that? Our clients that rely on Barefoot tell us this every day. Complete Accounting Management. Barefoot’s integrated trust accounting system is indeed the most flexible system on the market. It will manage all your multitude of taxes, charges to owners, vendors, guests, and management company. These charges can include variable or fixed monthly fees, work order charges, inventory fees and many others. They are controlled better in Barefoot than in any other system. Protect yourself and your staff. The issue of commingling funds and employee theft is something that every property manager is acutely aware of today. Complete audit trails of all financial tractions in a reservation are a critical factor in protecting both the company and the staff. You know who is logged in, and who is creating financial transactions. You also have access controls for your staff, so certain staff members are only able to have access to certain functionality in the system. With so many facets in one business, the vacation rental management industry is one that benefits from centralized management software that integrates a true trust accounting system. Not only does it make the day-to-day management practices easier, it protects the management team, the staff, and provides for an efficiency that is not available with standalone accounting systems.